The Differences Between B2B, B2C and Bonded Warehouses | Affiliated Warehouse Companies Inc.
Posted September 7, 2018 & filed under Warehouse Types. 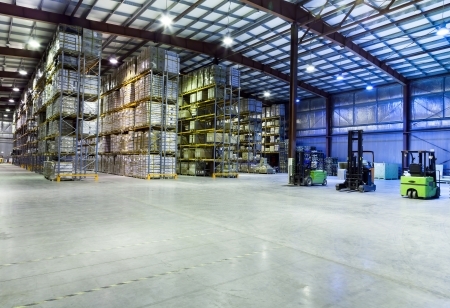 At Affiliated Warehouse Companies, we help clients figure out vital information on public warehousing options and we’re all about site selection, warehousing law, insurance, and more. Affiliated Warehouse Companies deals with reputable warehouses in the U.S., Canada, Mexico and Puerto Rico. There are different types of warehouses our clients should know about, including B2B (business to business), B2C (business to consumer) and bonded warehouses. With regards to B2B warehouses, these typically handle recurring/bulk orders of items. That said, they stockpile a lot of goods inside, and figuring out where everything is becomes quite a job in itself. Think of these warehouses as cities for goods, with the various goods having certain addresses in the warehouse, stacked on shelves, kept in boxes or crates, and moved around by machines. B2B warehouses generally deal with compliance requirements such as barcodes, parcel labels and invoices. Orders tend to be big and bulky, fulfilled by sea/air freight and/or ground transportation. Shipments coming from B2B warehouses often cost more and have longer delivery lead times than other types of warehouses. How about B2C warehouses? These warehouses also stockpile a lot of goods, but orders are generally smaller in size and weight. Say, for example, a customer orders one statue that’s going to be nicely wrapped in decorative packaging– that’s the kind of thing that’s done at B2C warehouses, where things can be more personalized. If B2B is more corporate, B2C is more personal, even down to the “unboxing experience” where personal notes can be included, and prettier wrapping paper can be utilized. Also, B2C warehouses generally get and handle more returns than B2B ones. Finally, there are bonded warehouses. These are typically owned by a private company or perhaps a foreign country. Bonded warehouses involve deferred VAT and duty taxes– so if you store items there, the taxes don’t come into play until after the items leave the warehouse. Are you searching for “the right kind of warehouse” for your specific needs? Let Affiliated Warehouse Companies help you select the right choice; please call us at 732-739-2323. We’ve been in business since 1953, so we’ve got the connections and expertise you need!